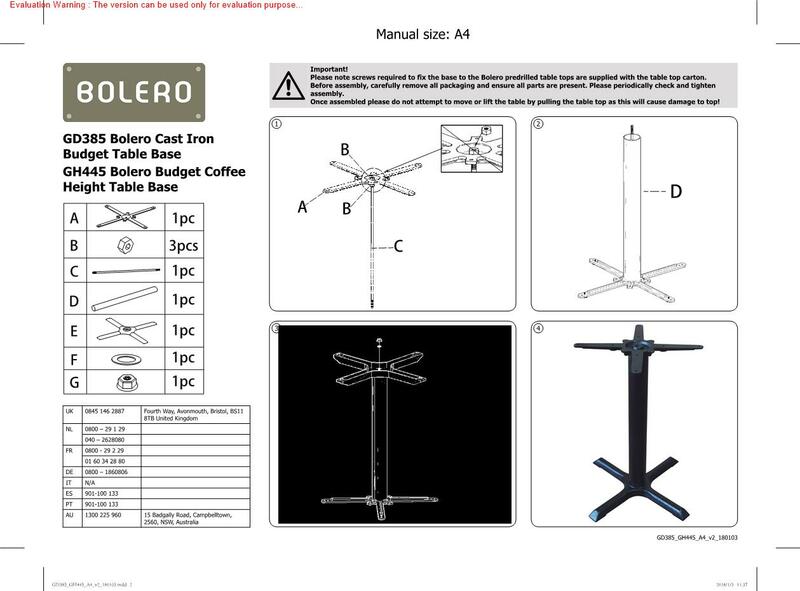 A sturdy cast iron table base from Bolero, designed to be compatible with our range of pre-drilled table tops. Mix and match to create the design and appearance that you want. Comes flat-packed for self-assembly and suitable for use with table tops up to 800mm . Compatible with our pre-drilled table top ranges Bolero, Durolight, Compact Exterior, Lamidur and Werzalit.Please note: this is a coffee height table base at 480mm high, we strongly recommend that you check the dimensions before ordering. The additional second image above show the table height to scale for clarity.